If you do a search for the meaning of the phrase, plain brown wrapper, you find definitions like cover, veil, disguise or camouflage. The phrase denotes something that in many cases suggests something that is forbidden or mysterious. For George Krem, the phrase perfectly describes his 1964 Studebaker Challenger 2-door sedan, a car that could not be more unassuming than anything your grandparents might have driven to fetch groceries or take a Sunday drive. Krem, a professional musician, purchased the car new from the local Roselle, Illinois, Studebaker dealer, trading in his very first car, a 1954 Studebaker Commander V8 with overdrive that he drove during his college years. But at 22, Krem decided it was time for a new adventure, so the Challenger became his vehicle of choice. 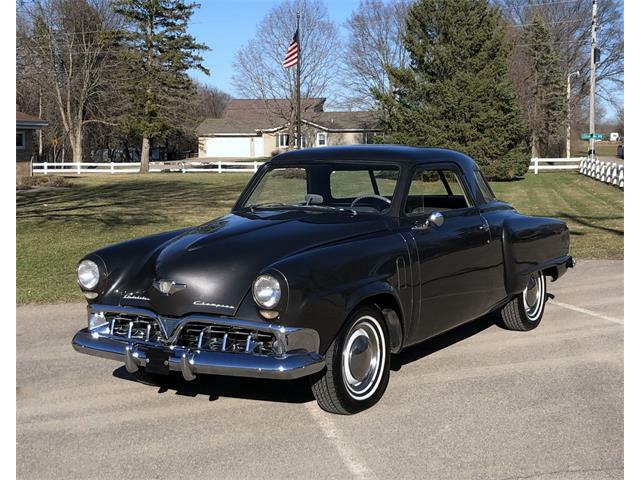 Why would a 22-year-old, fresh out of college and on the cusp of a budding career as one of the country’s premier trombonists, pick what many considered a dowdy Studebaker, promoted in that year by the struggling carmaker as “Different by Design”? Indeed, the Studebaker brand was suffering some major damage, particularly in 1964 when the company lost its president, Sherwood Egbert, who had worked tirelessly to revamp the car line, even bringing in Brooks Stevens, the acclaimed American industrial designer. Egbert was suffering from cancer and died about five years later. He was replaced by Byers Burlingame, a Packard veteran who immediately called for a complete production shutdown that eventually signaled the end of production at Studebaker’s South Bend, Indiana plant. You have to back up to age 15 to understand young George Krem’s fascination with Studebakers, a fascination that continues to this day. As Krem describes it, his uncle, Jerry Palma, had just purchased a new 1957 Studebaker Silver Hawk with 289cid power and overdrive. 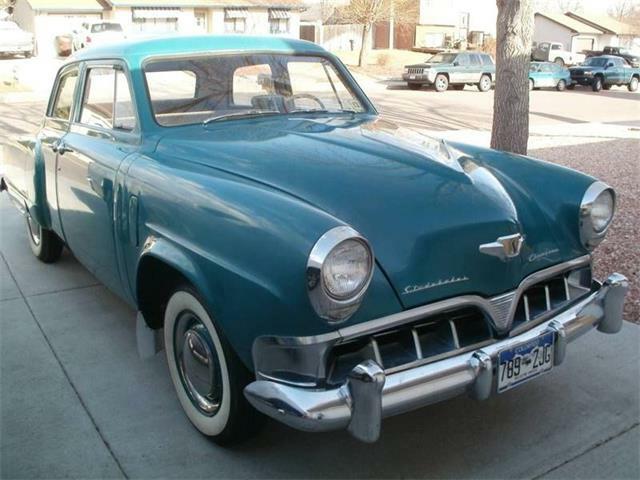 In addition, Krem’s best friend’s father had a supercharged 1956 President Classic. Krem couldn’t help but become smitten by the Raymond Lowey Studios-inspired Hawk series, which led to his purchase of the 1954 Commander. 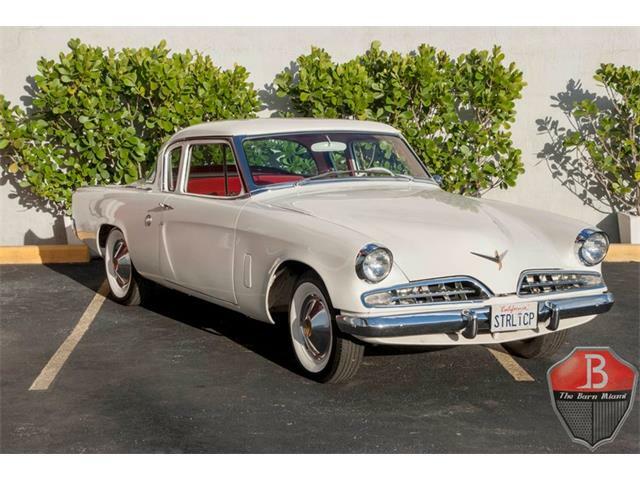 In 1962, away from his studies, Krem fed his Studebaker obsession by paying close attention to the car magazines hyping a completely new Studebaker model, the Avanti. He went so far as to memorize every technical aspect of the car, spending increasing amounts of time at the Roselle dealership, to the point that he could recite such things as the total square inches of glass used in the Avanti. That year, Studebaker introduced the Avanti to the public by making cars available to dealers for limited appearances. When the Roselle dealership got its single Avanti to show to prospective customers, there was only one person who they could choose to drive and demonstrate it. Young George Krem. 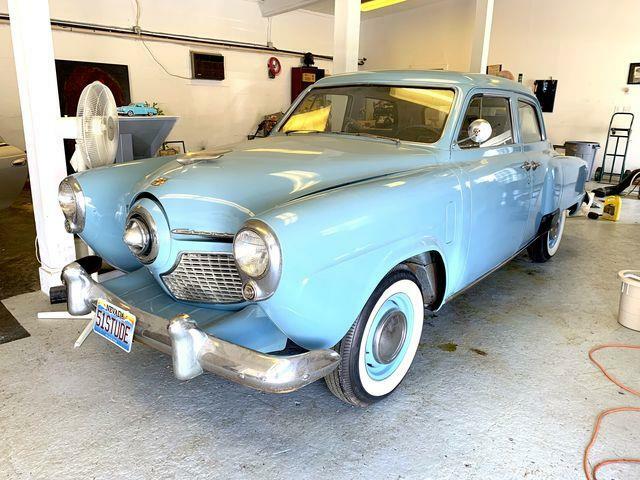 So, at age 20, George Krem became the dealership’s Avanti ambassador for two whole days, but that firmly set the stage for his lifelong dedication to all things Studebaker. Two years later, Krem purchased the Challenger, but what he did next was what truly defined the car for years to come. With his fascination in performance firmly established, Krem did the only thing a true speed nut could do. He bought his bone-stock Challenger, the one with rubber floor mats, a single sun visor and one armrest a new powerplant. In this case, that was a brand new, factory-built R3 Avanti engine. The car was less than a year old when the new engine dropped into the bay — and it has remained there ever since. Why not any number of other engine choices? C’mon! 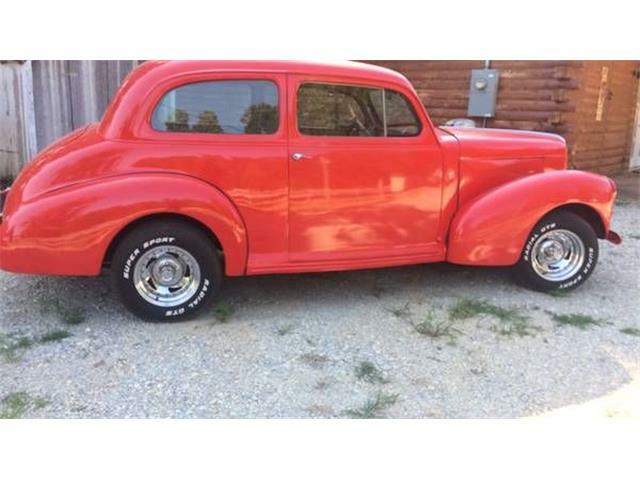 This is a Studebaker! Krem knew all about the Avanti R3. 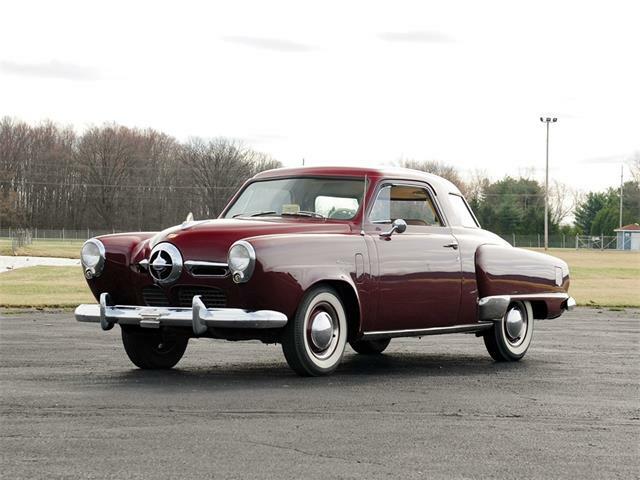 This was the high-performance version of Studebaker’s supercharged R2. 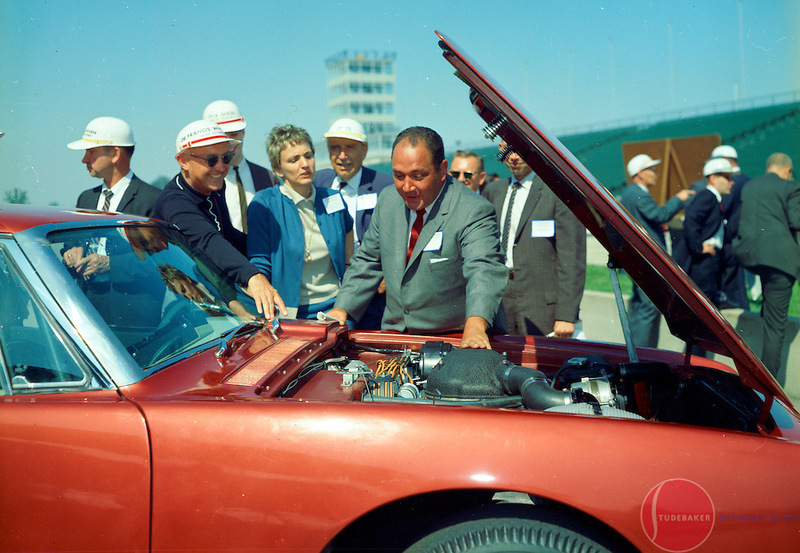 Andy and Vince Granatelli took a prototype R3 out to the Nevada desert in 1962 and had a timed top speed of 171.10 mph, which at that moment made the Studebaker the world’s fastest production car. The following year they went to Bonneville, where they set a two-way record average of 170.75 mph. There was no question in George Krem’s mind that his plain brown wrapper needed this engine under its hood. Krem had purchased the Challenger because it was lightweight and it was cheap. 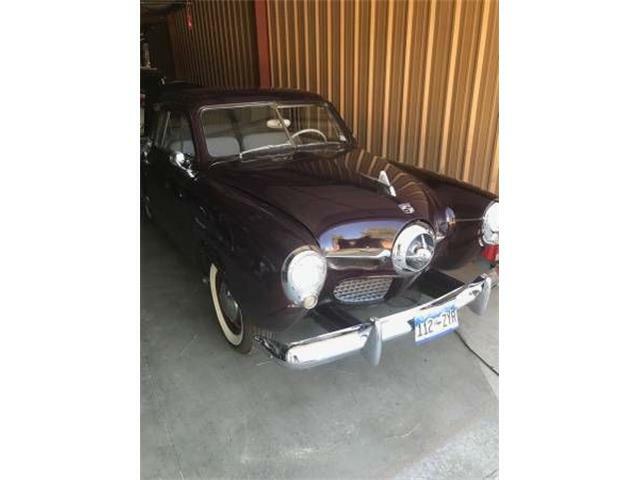 The car had no options except a radio and a heater, but it did come with Studebaker’s version of Positraction, the Twin Traction rear. “I wanted to make the fastest Studebaker possible using all factory parts,” he explains. So, he saved up the $725 needed so he could order a complete R3 engine minus an alternator and Paxton supercharger. “I already had one of those,” he said. Today, the original brown sedan still sports all of its factory components including mufflers, skinny 70-series tires, 4.56 rear and 8,000-rpm tach. And it regularly runs in the high 12s for the ¼ mile at around 111 mph. 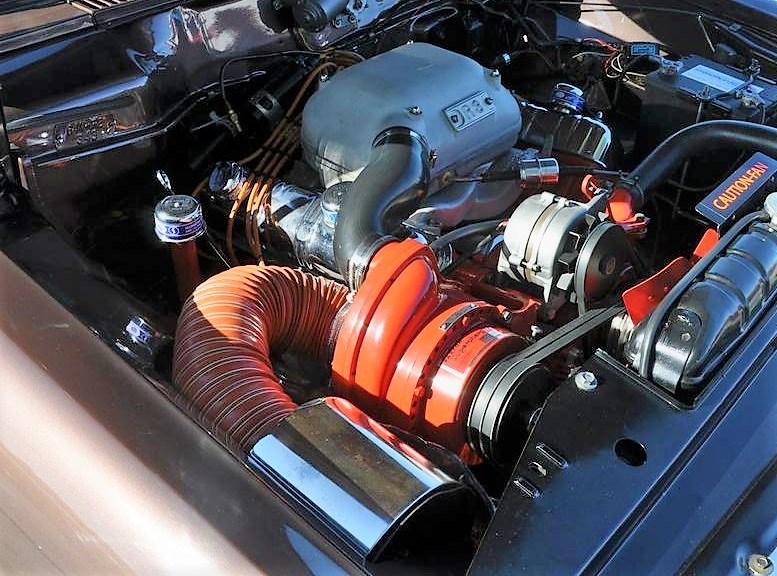 “In 1998 my cousin, Bob Palma, who was technical dditor for the Studebaker Driver’s Club, discovered the Michigan-based Pure Stock Muscle Car Drag Race,” said Krem, who decided it was the perfect place for his speedy Stude. Krem and his car hold seventh place in the list of all-time fastest small blocks at the event, recording a 12.617 et at 112.69 mph in 2013. This past year, Plain Brown Wrapper didn’t win its class, beaten by a 1969 Camaro, 396cid, 375hp 4-spd that recorded a best 12.591 et to Krem’s 12.730 et, though both cars ran virtually identical 112 mph speeds. The Pure Stock drags have fit the Studebaker exceedingly well as George, cousin Bob, well-known NHRA driver Ted Harbit and engineer Nelson Bove have, as a team, consistently beaten many well-known muscle machines over the years, including GTO’s, big-block Chevys, 440 6-pack Road Runners among others. Krem lives in Holdrege, Nebraska, still performing with his trombone and still terrorizing the drag strip with Plain Brown Wrapper. He’s become a noted expert on all things Studebaker performance, and he will tell you he couldn’t ask for anything more. 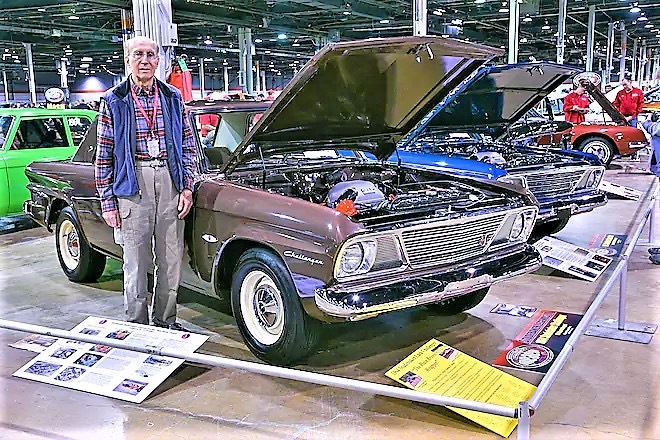 Thanks for the nice article on Cousin George’s Challenger; I assume you caught up with him at the 2018 Muscle Car & Corvette Nationals in Romemont IL last November, where that photo of George and his Challenger was taken, and where the car was displayed. A couple corrections to the story, please, if you don’t mind. 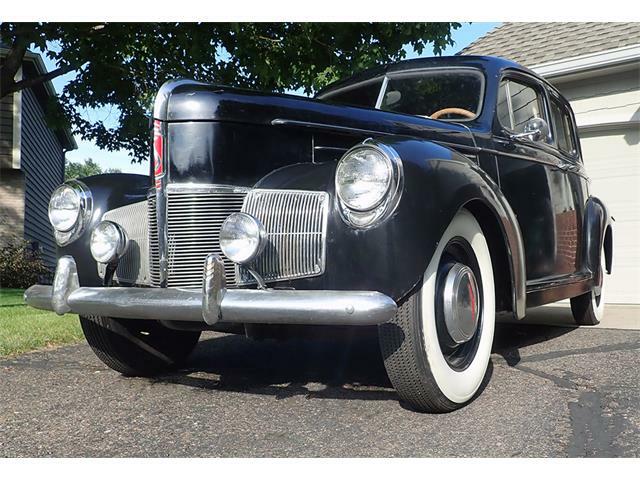 I am intimately familiar with the car because cousin George and I have together been involved in Studebakers since before we could drive. We were together when we first laid eyes on what would become The Plain Brown Wrapper as a leftover in stock on a gravel back storage lot at Studebaker of Indianapolis in July, 1964. Challengers were not built in Canada, so when production ceased in South Bend at the end of calendar year 1963, all the 1964 Challengers that would ever be built, had already been built. Most of the 2-doors were sixes, but 274 Challenger V-8 2-doors had been built for stock to keep the lines running and were among the many cars wholesaled to dealers at fire sale prices to get them out of South Bend’s inventory. By July 1964, all those cars were at least 8 months old, although they were brand new. On that hot, dusty gravel lot in back of Studebaker of Indianapolis sat three of the 274 Challenger V-8 2-doors: George’s car in Bermuda Brown, another in Moonlight Silver, and another in Golden Sand; all factory V-8s with manual transmissions. The Silver and Gold cars had overdrive; the Brown one did not. However, George bought the Brown one because it was a 289 V-8, whereas the others were 259s. The sale was handled through Snider Auto Service in Indianapolis, where our mutual Uncle Jerry Palma was a salesman at the time; not Pabich Motor Sales in Roselle IL, as mentioned in the article. George’s father had indeed bought a new 1960 Lark DeLuxe V-8 2-door from Pabich, but The Plain Brown Wrapper was not sold to cousin George from that dealership; rather, the sale of record was made through and at Snider Auto Service in Indianapolis. Obviously, Snider acquired what became The Plain Brown Wrapper through a wholesale trade with Studebaker of Indianapolis, one of three Indianapolis Studebaker dealers in the summer of 1964. 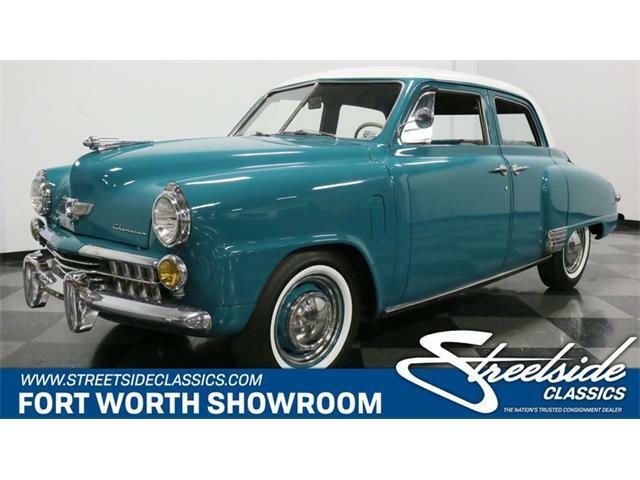 George’s first "personal" Studebaker was the 1954 Commander coupe mentuioned in your writing [a V-8, as were all Commanders from 1951-1957], but it is not the car he traded in on The Plain Brown Wrapper. It was gone by then, having been replaced by a 1957 Silver Hawk George bought previously at Snider Auto Service as a used car. He traded that Silver Hawk in on the new Challenger. About a year after George bought the Challenger, he/we realized there would never again be new, wonderful Studebaker V-8 engines. (See my column about them in the March 2015 Hemmings Classic Car.) Since George was interested in high performance, he quit driving the Challenger as a daily driver and bought a new R3 engine assembly from Paxton Products. He and I installed that new R3 engine assembly in the car over Christmas vacation 1965/1966. And what became of the original 289 V-8 with which The Plain Brown Wrapper was built? 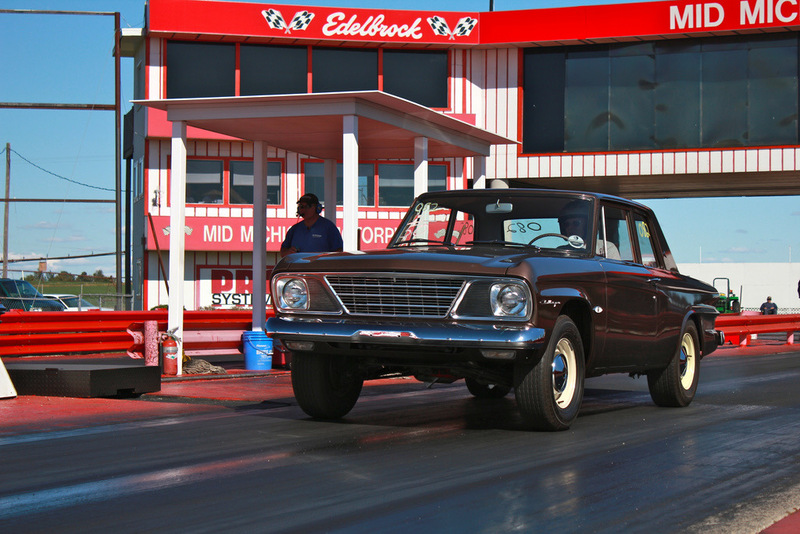 Well, today, to keep it "all in the family," it powers Ted Harbit’s 1961 Studebaker tilt-bed Transtar truck on which Ted hauls his own 1963 Studebaker Lark Custom 2-door race car, better know as The Stude Tomato, to The Pure Stock Muscle Car Drag Race every September. Ted’s truck and The Stude Tomato were displayed in the lobby of The Donald Stevens Convention Center during the 2018 Muscle Car and Corvette Nationals show…so it may be honestly said that The Plain Brown Wrapper and its original engine were both at The 2018 MCACN show…but in different vehicles! Thanks again for your nice writing about George and The Plain Brown Wrapper. I trust Paul Harvey would he happy to know that your readers now have "the rest of the story!" Bob Palma, Technical Editor, Studebaker Drivers Club’s Turning Wheels. Quarterly Columnist, Hemmings Classic Car. Thanks for a great addition to the story! Really interesting article and reply. 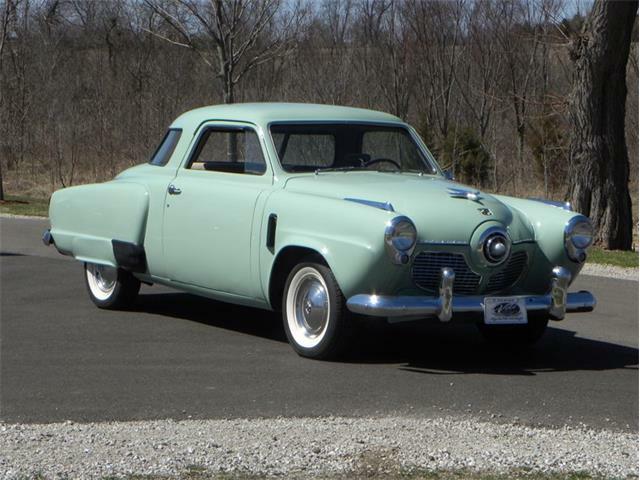 I recently sold my Studebaker, a 1955 President Coupe with a 55 Chrysler 331 Hemi and 4 speed auto. The best looking cars from 53 through the 64 Hawk in my opinion. Wow!..Pretty neat. EXCEPT…I thought Pure Stock MC Drags had to compete , As Born With,? ?..Technically, The Stude Tomato , or at least, The Plain Brown Wrapper, COULD be thought of as ‘Pikers"…A NHRA Multi-Champ, and his motorhead relations?/..I’m sure more than one or two mods were made, along with the engine? ?..I’ve had this ‘conversation with another Stude NUt, G. hildebrandt, of Dearborn, MI. Kinda’ like stuffing a HEMI into a Dart, performing Dragster Magic on the internals, exhaust, etc., THEN calling it a stock Dart, because they made a couple dozen HEMI-DARTS?? ?..Just sayin’…. Dave: The Pure Stock Muscle Car Drag Race does not require that cars be raced "as born." Clones are permitted so long as they represent what COULD have been a factory-ordered / factory-built car for the year, make, and model represented. So, no, a 426 hemi-powered 1964 Plymouth Valiant could not compete at the event, but a 1964 Studebaker R3 Challenger could have been ordered and built as is George’s car, and is legal. In fact, to be legal at The Pure Stock Muscle Car Drag Race, George retains a Studebaker Corporation-generated letter stating that any V-8 engine available for 1964 model year Studebakers could be ordered in any model. Wow, what a great story by Jim and backstory by Bob. It was so cool to read the ‘whole’ story, and detailed history of the ‘Plain Brown Wrapper’. I was also trilled to hear that this incredible story is carrying on and that the next chapter is still unfolding. Drive on little Challenger R3, drive on. Thanks Bob for the first hand history of this car. A very interesting addition to the car’s story. Just when I thought the story couldn’t get any cooler ! I ran into an old Friend at a "Cruise In" last Summer & he was telling me about the Pure Stock Nationals , he had me thinking pretty seriously about going this year (he’s an AMC "nut" , by the way) thanks , you just sealed the deal for me , hope to see you there ! One small additional correction. Cousin Bob is right in that I bought the Wrapper in July of 1964. However, it was only three months later that I retired the car from daily service and purchased the factory- built R3 engine. Bob and I installed it over Christmas break of 1964/1965. This makes it a clone with a factory engine- -perfectly legal at the Pure Stock Drags, if you look at the rules. The engine has gone through tech inspection at the Pure Stock Drags numerous times. It has easily passed inspection every time, including displacement (P & G test), compression ratio, and cam specs. And there’s no room in the relatively small Studebaker bore for valves larger than stock. So it’s a certifiably stock R3 factory-built engine. If any doubts, check with Dan Jensen, organizer and chief inspector for the Pure Stock Drags. There doesn’t seem to be any way to edit one’s post or I’d do so. Like the man said, "It’s been a helluva ride" …and, thankfully, it isn’t over. Incidentally, when George and I were oogling those three 1964 Challenger V-8 2-doors on the lot at Studebaker of Indianapolis in July 1964, I desperately wanted to buy one of the other two. However, I was 18 years old with four years of Purdue ahead of me, whereas George, being older, had the bulk of his formal education behind him. The correct spelling is; Raymond Loewy Studios. Proud to know George and to let you know that the Plain Brown Wrapper is now on display at the Classic Car Collection on east Highway 30 in Kearney, Nebraska. George’s 57 Golden Hawk was also on display there for quite a while. Thanks very much for a fine article. Just a few comments….As Bob says, I bought the car in July of 1964 and took delivery early August, a few days later. Three months later (not a year later), I purchased the new, factory-built R3 engine with proper associated components, and Bob and I installed them over the Christmas vacation of 1964/1965. The engine has been in there ever since. A word about how stock it really is: Dan Jensen, organizer and guy in charge of the Pure Stock Drags has personally run the Wrapper through inspection many times, including a more detailed check from time to time. For example, he did a P & G check of displacement; allowing for atmospheric pressure and other factors, it came out right at 304.5 cubic inches–which is the original factory displacement. Then he did a compression test. He calculated 9.7 to 1; stock is 9.75 to 1. He checked the carburetor including the number on it (It’s the original Carter AFB that came on the engine), and he checked camshaft lift, which came out within a few thousandths of stock. The only change here is a carb jetting change, which is allowed by the rules. All competitors do it to optimize engine power. The engine even runs its original dual point distributor with no electronic ignition. The R3 has it’s original factory R3 exhaust manifolds and the original heads are untouched except for a recent valve job. R3 heads are so rare, you wouldn’t want to modify them in any way. Because of their rarity, nobody has experimented with porting or other mods. Further, the engine still has the original valves it left the factory with. You can’t install larger valves in an R3 because Studebaker installed the largest valves that would fit within the modest Studebaker cylinder bore. Almost every engine competing at the Pure Stock Drags has more displacement than the R3 (the norm is around 400 CID.) They all have a larger cylinder bore than the Stude and thus larger valves. The one advantage that makes the R3 act like a big block is the factory-installed Paxton supercharger. Every R2 and every R3 Stude engine came with one. There is no way to modify it with a larger pulley for more boost because my engine already has the optional R3 high output blower pulleys. If we turned the blower faster for more boost, it would either blow up (it’s already turning the safe maximum impeller rpm in the traps), or the supercharger belts would slip even more than they do now. There’s a lot of belt slippage above 5,500 rpm with the factory H.O. pulley, and we shift around 6,000 to 6,200 rpm when going for the best times. Even limiting rpms to 5,500, the car has turned in the 12s many times. Revving it more than that doesn’t help a lot, even though the engine itself is good for 7,000 rpm. But it’s a heck of an engine, as all Stude V-8s are; they didn’t sell a lot of cars compared to the big three, so not many people know about them. If you want to be different, race a Studebaker-they get a lot of attention, and they are so sturdy, hardly any of the Stude competitors at the Pure Stock Drags have broken anything.